People use lots of water for drinking, cooking and washing, but significantly more for producing things such as food, paper and cotton clothes. The water footprint is an indicator of water use that looks at both direct and indirect water use of a consumer or producer. Indirect use refers to the 'virtual water' embedded in tradable goods and commodities, such as cereals, sugar or cotton. The water footprint of an individual, community or business is defined as the total volume of freshwater that is used to produce the goods and services consumed by the individual or community or produced by the business. 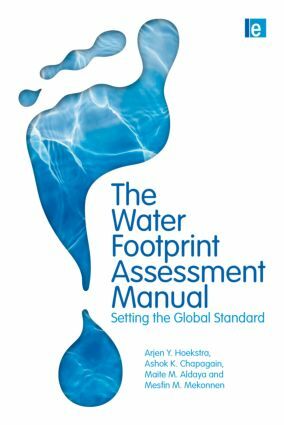 includes an extensive library of possible measures that can contribute to water footprint reduction. 'The Global Water Footprint Standard comes at a time when companies in all sectors are awakening to the risk that water scarcity poses to their bottom lines and reputations. This work helps companies understand their dependency and impact on water resources, and offers guidance on response strategies that conserve water for industry, communities and nature.' – Jim Leape, Director General of WWF International.